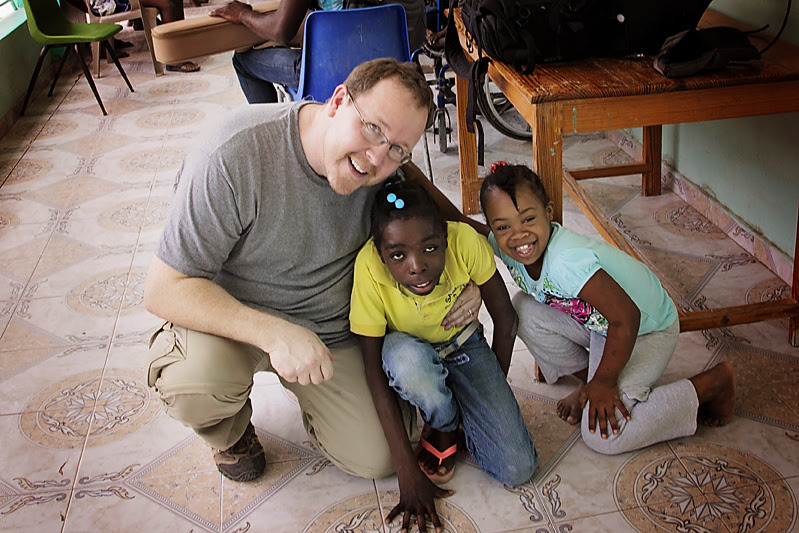 When the chance arises to return to Haiti, I am usually the first to step forward. We all have these special places in our hearts. When we are there, our heart is happy. We feel God’s presence more closely, and it’s as if you know you’re doing what you’ve been called to do. For me, that place is Haiti. This March, I visited the many ministries of Heartline and would like to share some of my favorite memories, and photos, with you. I’ve had the privilege of serving in Haiti in one capacity or another for the past 10 years. While I have a full time career here in the states, Haiti continues to call me back. Each trip, I learn something new and find myself humbled and drawn closer to Christ. 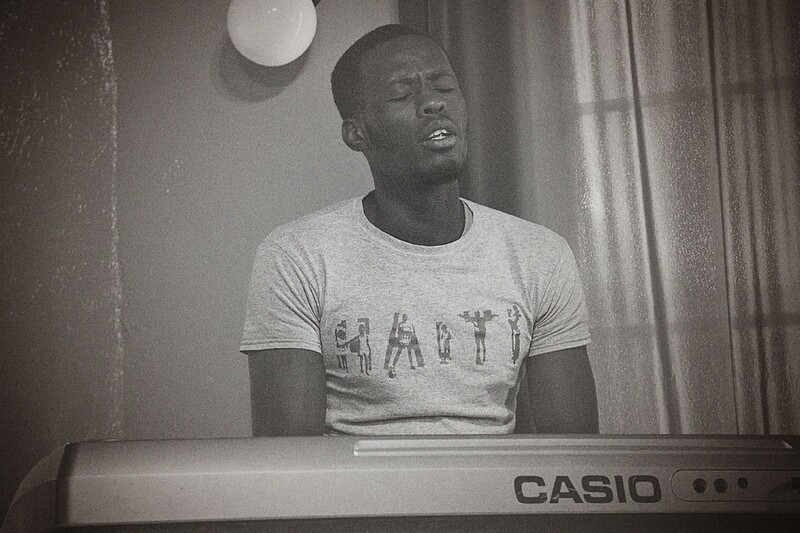 In the same way, I’m drawn deeper into my love of Haiti. The culture, beauty, amazing people, and of course, deep mystery and contradiction continue to capture my heart. For those of you that have been to Haiti, I think you’d agree that it is truly a wonderful and complex experience. I have come to terms that I will never understand Haiti, nor figure out my deep persistent passion to return. I also know that I will continue to serve and share Haiti’s many amazing stories, people, and sights. 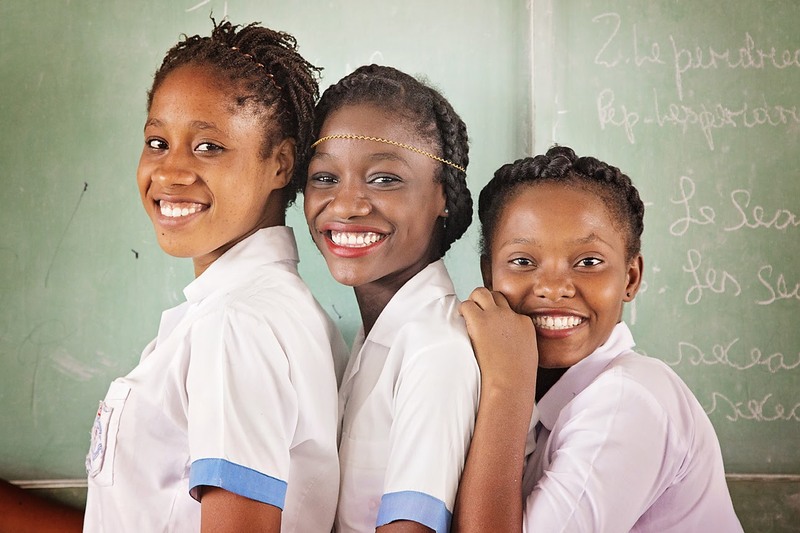 This is a privilege not afforded to everyone and I am grateful for the chance to share a piece of Haiti with you in this post. I am honored to be a part of the Heartline team here in the US, supporting the work of those on the ground in Haiti. In my role at Heartline, I have the opportunity to share stories and images that hopefully bring you closer to Heartline and give you a glimpse into how God is using this ministry for His glory each day. The purpose of my most recent trip was to capture photos for use in various media, storytelling, and student sponsorship updates. I’d like to share some of my favorites with you. I hope you enjoy them as much as I enjoyed capturing them. A primary focus of my visit was to photograph sponsored students at Heartline’s partner schools in Corail and Cité Soleil. 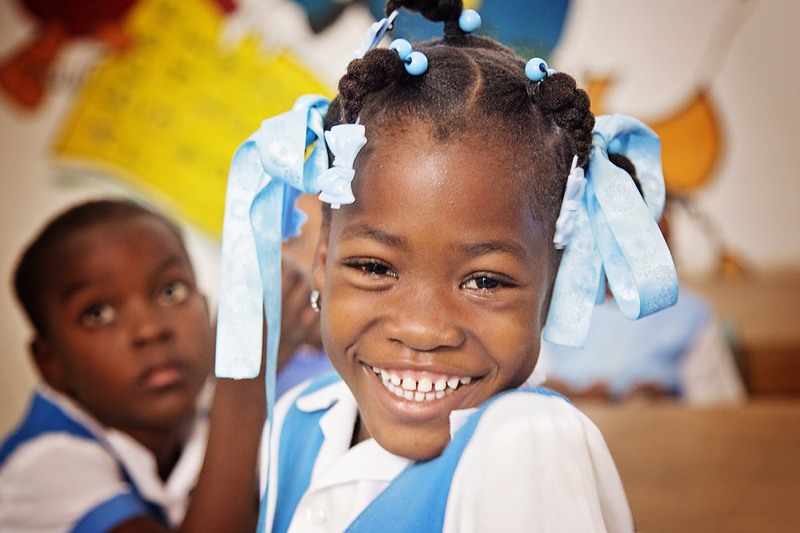 School in Haiti is always a bustling environment and these visits were no different. Our first stop was Corail. You can read more about Corail on the Heartline Ministries website by clicking here. The children were energetic and happy, focused on their studies and also enjoying just being kids. I peeked into each classroom. The students’ enthusiasm for learning and childish innocence filled me with joy. As the teachers and staff prepared name cards and organized students for their pictures, I couldn’t help but capture candid shots of their beautiful faces. 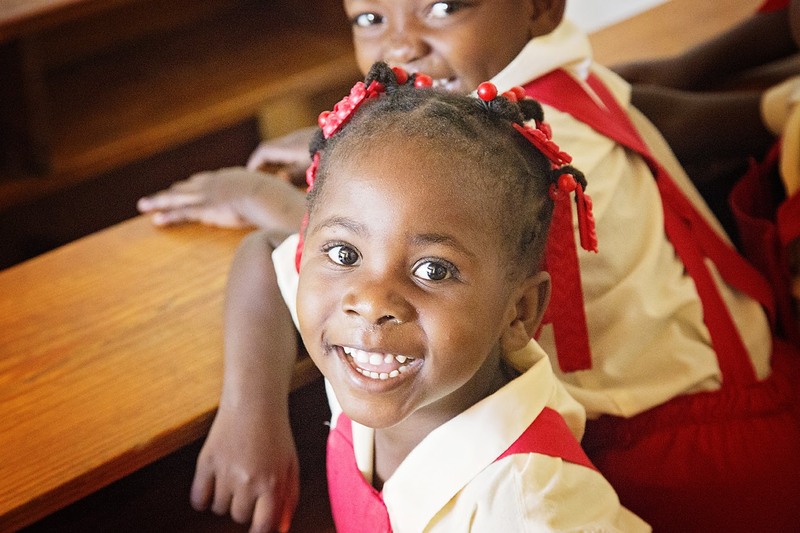 As I clicked the shutter, I prayed that each child would achieve their dreams and impact Haiti for the glory of God. With every shot I attempted to capture each child’s unique spirit and flair. I know my photos aren’t enough, but I am grateful for the opportunity. I give thanks, knowing that these pictures will land in the hands of a loving sponsor who will pray for each child. After completing our photos in Corail, we packed up and headed back into town to visit our partner school on the outskirts of Cité Soleil. Anyone who has read about or visited Haiti has heard of Cité Soleil. The stories are never flattering. The oppressive poverty, gang violence, and lack of utilities make Cité Soleil an unbearably hard place to call home. You might not imagine that these beautiful, smiling faces are from such a challenging place – but they are. As I entered a high school classroom, I was reminded of the words of a dear friend who often says, “Best friends look the same everywhere.” His statement is certainly true. I had the joy of watching three girlfriends giggle and chatter as high school girls do. Then finally, in spite of our language barrier, they approached me to ask for a picture of the three of them together. Needless to say, it was great fun and certainly a highlight for me. I hope you can see their joy. As we packed up our gear and headed out, my heart was filled with gratitude. The word that best describes my experience with the sponsored students is hope. In Haitian Creole, they say, “espwa.” I am hopeful. If this much joy and happiness can come out of one of the most oppressed and dangerous slums in the world, then there is hope for all of us. God is bigger than anything we face and He is our great hope. Haitian believers would say, “Li se espwa nou.” or “You can’t live without hope.” I would agree. The next stop on my journey brought me to another one of my favorite places in Haiti – a small and simply furnished room nestled near the entrance of Heartline’s main property, known as the “OK Corral.” The room is located next door to Heartline’s Beltis Bakery, so the smell of fresh bread is always in the air. Throughout the week, members of the Heartline family gather here to pray. The room really comes alive on Tuesday when the men’s ministry group and others at the OK gather for a time of prayer, praise, and worship. Prayer is powerful. In that room, for me, it feels especially powerful. The men and women of Heartline were already praying when I arrived and I took a few moments to capture them in prayer. This room of old friends and new, brothers and sisters in Christ, was a welcoming place. As I listened to their prayers, unable to discern specifics through their native Creole, I felt the comfort of the Spirit. I felt the warmth of a loving and caring God, who is ever-present. I thought to myself about what a great privilege it was to be among these passionate servants of Christ. During this time, you often can’t discern between prayer and song, but of course, I don’t feel the need to either. Prayer time in this room with my Heartline family is always beautiful, always reverent, and always ends too soon. I will save some stories for another post. I hope you’ve enjoyed sharing this journey with me. Many of you are already a part of the Heartline Family. Thank you! 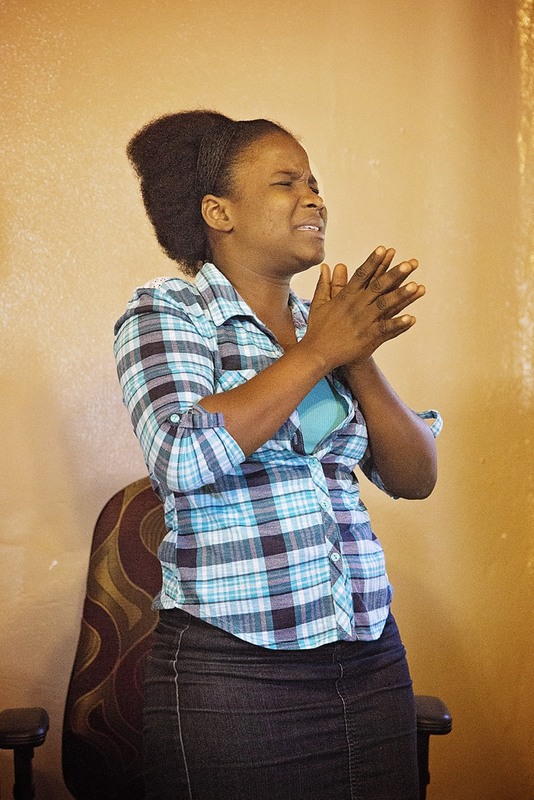 Maybe you pray, give, or maybe you too have had the unique privilege of visiting Haiti and Heartline Ministries. I am grateful for your heart for Haiti and your commitment to serve Christ. If you’re new to Heartline – welcome! We’re so glad you’re checking out the ministry. Be sure to follow us on Facebook, Instagram, Twitter, or Pinterest. The Heartline story is always unfolding and each ministry has so much going on each week. God is using Heartline for His glory in Haiti and we are honored to be along for the journey. Love you and your heart for Haiti, Dave. Keep up the good work brother! Thanks Scott and Elizbeth – I appreciate it. I am grateful for friends like you who share my passion and new friends who we get to introduce to all the beauty that is Haiti! I went to Haiti for the first time last October. I share the same inexplicable magnetism that country and its people have on my heart. BTW if you haven’t read There Is a Land by Ted Oswald it’s a brilliant story about a young girl in Cite Soleil who rises up to battle against the crime and political corruption surrounding her. Loved reading this Dave!!! It hits home in so many different ways. I’m grateful for your commitment to Haiti and the example it sets!